A night of pranks and perception. I mean I played the Tangled Up in Blue 2 frets off in G accidentally and when I corrected it I went to far, all the way up to B. I did this on purpose by Kev followed like a lemming. After that little joke we pulled of the good Tangled Up and the good jam. 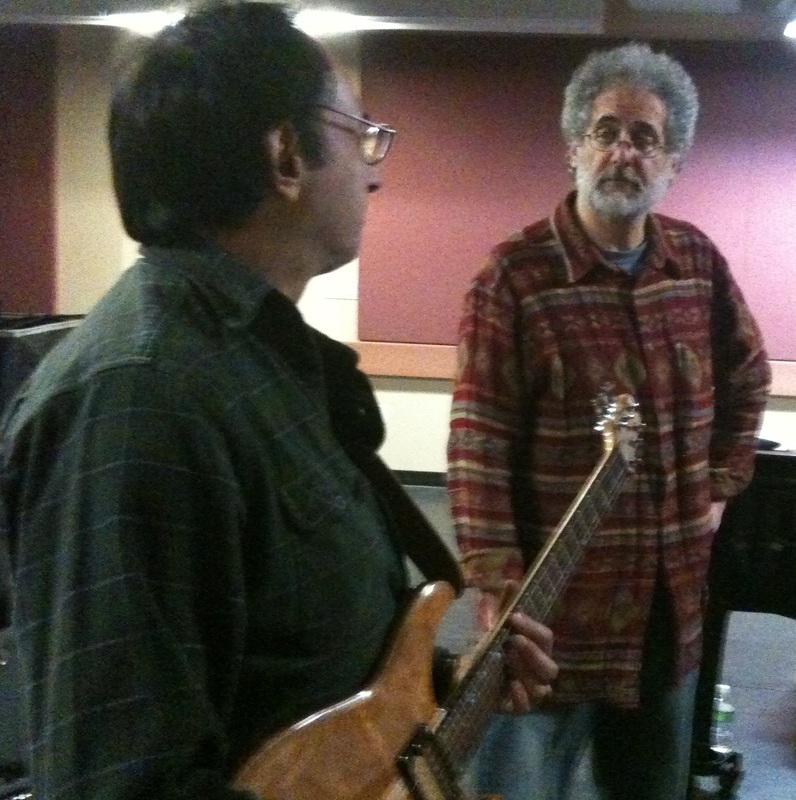 Once again this week we played with Alan Wikler on Bob and me on Jerry, from a guitar perspective. Carroll’s was nice to provide a Fender Super this week which I took advantage of. It sounded really good. I played my Epiphone Les Paul and brought in my ART SGX 2000 effects unit. For the most part I was pleased with my tone as I get more used to the Les Paul. I almost forgot to mention. This night represented the release of the newest song book, V7. This is always a momentous moment that has long term implications. Scott and Alan now once again have books and all of us have consistent and updated versions to play from. 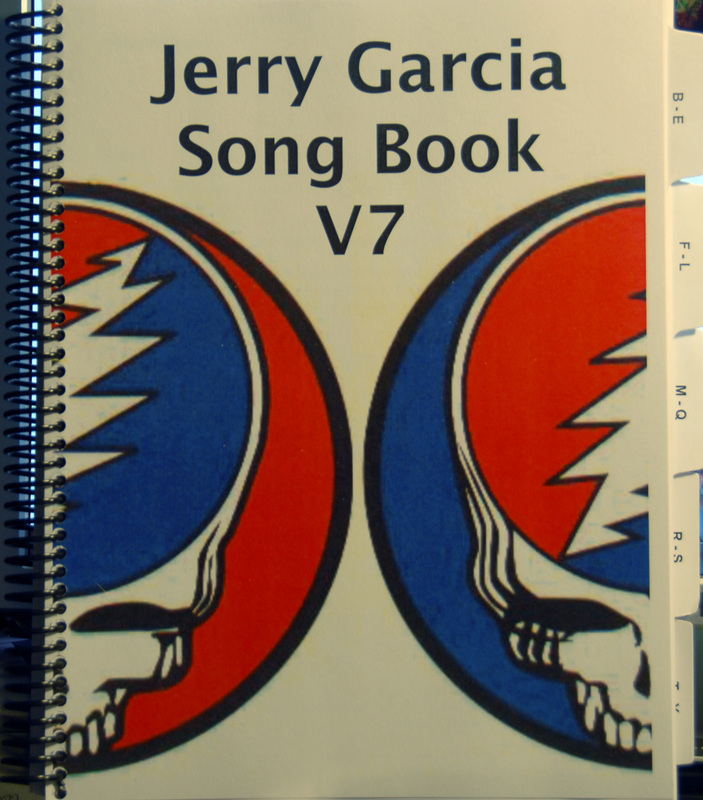 Sleek and efficient the Jerry Garcia Song Book is. While the books was distributed this night, it really didn’t have too many positive impacts except for the fact the Alan and Scott now had their own books to use. On the negative side, it takes some getting used to from the perspective of reading the charts. While they may look the same, every now and then there is an update which is just a little different, better, yet different. On a few occasions I think I sensed Kevin getting confused with the book because he may have used it in lieu of his traditional notebook. In any case it will be a benefit into the future. Trying to think of some of the things I remember about the night which include a spacey Birdsong that I followed Alan’s lead into the Dark Star, eventually taking it back out to the Birdsong. I once again borrowed Alan’s MXR envelope filter so with that I enjoyed some Althea, Ramble on Rose and Feel Like a Stranger action. We used the spin-o-matic to find a Race is On which we would have otherwise not done. Alan had a list of songs he wanted to try and we got to most of them. They included the Tangled Up, Getaway and a few others. He also sang the Looks Like Rain of the night giving me the opportunity to lay a pasta line of noodles on top of the song. We ended with the Terrapin and we were out a few minutes early into the warm December evening. Warm enough that I was still wearing shorts. That was very enjoyable. I certainly was feeling good and energetic, even at the end of the night. Great vibe again in the room. And as always, TheGind is a genius. Actually I made no attempt to take Bird Song anywhere, except into that Realm of Infininate Possibilities. I actually felt it veering towards The Other One but someone (or something) other than I landed it in the instrumental Dark Star. The recordings should reveal the route take. As always, a fun night for me.